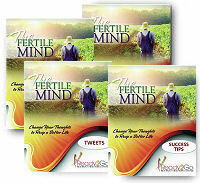 Tweets: The Fertile Mind - Change Your Thoughts to Reap a Better Life from Ready2Go Marketing Solutions, Inc.
To see a sample of this tweets package, click here. 60 professionally written tweets that allow you to tweet on a regular basis! You can't direct the wind, but you can adjust the sails. Same w/ the mind - you can't stop it, but you can guide it to better thoughts. 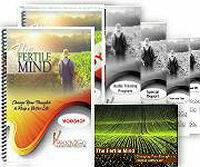 The outer world of our lives is a direct result of the inner world of our thoughts.